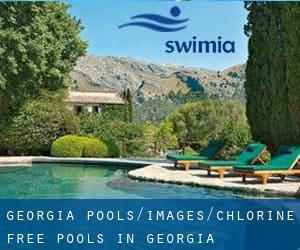 Thanks to some new Chlorine Free Pools in Georgia submitted every day, Swimia.com is increasing everyday the number of stored pools. Please don't hesitate to contact us when you come across any inaccurate or incomplete information. Swimming is really a sport for all ages. It helps young people to tone their muscles and grow healthy and strong. Please check the nearest Swimming Pools or Contact us to ADD IT. It's free of charge! The best pools to swim are undoubtedly indoor olympic pools. Not all countries are the identical, and swimming regulations and rules are changing from one country to another. Looking for Chlorine Free Pools in Georgia? Many of them belong to gyms or sport centers which also provide lessons. Without a shadow of a doubt, swimming in Columbus will be the ideal way to unwind right after work. Take a couple of minutes to browse Swimia's catalog to find a Swimming Pool in Columbus. Swimming can be a outstanding idea to keep your body active during your visit to Macon (Georgia), or perhaps if you are a local. Swimia assists you to find your closest Swimming Pool in Macon. It's difficult to visit Georgia without dropping by Sandy Springs (with 93.853 residents). Currently Swimia is showing you all of the Swimming Pool in Sandy Springs and the closest pools located in its vicinity. Let us tell you a secret to switch off while you might be in Athens: just opt for a Swimming Pool in Athens and plunge into the water! There's no more efficient strategy. Whereas Savannah is among the six most populous cities in Georgia with nearly 136.286 residents, you shouldn't miss that one if you're going to Georgia. Holding an estimated population of 420.003, Atlanta is among the most important cities in Georgia. Check all of the Swimming Pool in Atlanta and its surrounding region. 5111 Abercorn St. , Savannah , GA , USA (Postal Code: 31405). This sports center provides 25 yards, 3 lanes, Non-Chlorine Sanitized, Indoors. For this Pool, only phone number is number here.